INDUSTRY.co.id - Jakarta - Motorola Solutions in collaboration with the Indonesian Red Cross (PMI) supports efforts to save and deal with emergency conditions after the natural disasters that hit Sulawesi and Lombok in Indonesia. The search for survivors continued after the earthquake and tsunami last week in Palu, Sulawesi. 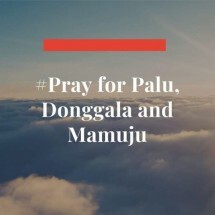 More than 1,200 people have been victims and almost a week the people in Palu lack food and clean water. Red Cross's humanitarian aid agency has sent seven tons of logistics supplies and the Indonesian Red Cross (PMI) has also alerted resources to support rescue efforts in the affected areas. "Our engineers work with PMI to expand the coverage of repeaters in Sulawesi to support disaster management efforts in Palu. PMI will also use a radio that we recently donated to help recovery efforts after the disaster that occurred in Lombok, "said Risdianto Charis, Country Manager of Indonesia Motorola Solutions. Last month, a series of large-scale earthquakes, including a magnitude 6.9 earthquake struck Lombok, Indonesia. Around 85,000 houses and a number of local infrastructure, including transportation lines, were damaged by the earthquake, making the post-disaster recovery effort even more difficult. Motorola Solutions donates two-way mission-critical radios that can help the first respondent's work in the field. This radio operates in "direct mode", which allows users to manage point-to-point instant communication between respondents and aid agencies that carry out their important work. "The highly reliable and safe LMR network and devices from Motorola Solutions have played an important role in supporting the handling of emergency or mission-critical conditions so that they can respond quickly after a disaster," said Secretary General Dr. Ritola Tasmaya, MPH, from the Indonesian Red Cross. "In times of crisis, Motorola Solutions supported its customers to provide important communication to help people get back on their feet. Through our charity, the Motorola Solutions Foundation, we also provide financial and resource support. This includes contributions to support the Indonesian Red Cross and other aid organizations that respond to natural disasters. The Motorola Solutions Foundation also donated US $ 10,000 to Red Cross who had prepared special assistance funds. In addition, there are also additional funds from employee donations of US $ 10,000. "Closed Charis. Jakarta - Motorola Solutions in collaboration with the Indonesian Red Cross (PMI) supports efforts to save and handle emergency conditions after the natural disasters that hit Sulawesi and Lombok in Indonesia. "In times of crisis, Motorola Solutions supported its customers to provide important communication to help people get back on their feet. Through our charity, the Motorola Solutions Foundation, we also provide financial and resource support. This includes contributions to support the Indonesian Red Cross and other aid organizations that respond to natural disasters. 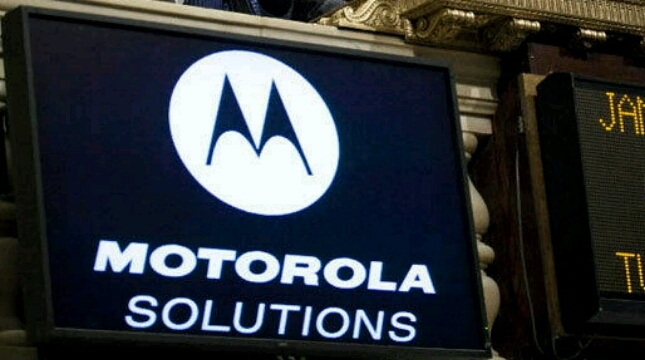 The Motorola Solutions Foundation also donated US $ 10,000 to Red Cross who had prepared special assistance funds. In addition, there are also additional funds from employee donations of US $ 10,000. "Closed Charis.